Here, we deal about what land pollution is, its causes and effects. Now, when everything is polluted, why do we want to spare the land without polluting? We come across the land spills everywhere. People are least bothered as to where to push off the waste. All they just need is to take it off from their house and surroundings. Beware! It is coming back to us in different forms. Land or Mother Earth, as many communities refer to it because of the abundant provision that comes from it; is under attack. According to Biblical tradition man was entrusted the land to till and care for and it would bear fruit for him. For a long while this is what he did. As life progressed and populations grew, needs grew too. Discovery of metals, industrialization, need for raw material for the factories, need for more fuel and power, increased taste for dairy and meat products, processed foods packaged neatly in plastics; all this come at a giant cost to the land that has been supplying us non-stop since we have been. Land pollution is the contamination of the land either naturally or by humans. Be it any cause, the end result is that the land is becoming polluted day by day. Land pollution can be due to natural ways or by humans. Natural causes such as volcanic eruption, hurricanes or tornadoes can pollute land but since they are the natural causes, we are so helpless about it. But the destruction of land directly or indirectly by human are worse than the natural cause. Land Pollution is the addition of substances that are foreign and toxic to the land causing undesirable changes to the environment and its inhabitants. This takes place due to varied reasons which we shall briefly discuss here. Agricultural Practices that focus solely on high yield of crops and raw materials. These include over-tilling, overuse of the land, chemical fertilizers, pesticides, insecticides and weedicides, introduction of foreign species as a means of pest control, deforestation, unregulated disposal of agricultural wastes etc. Unregulated Industrial discharge of untreated chemical effluents into the surrounding lands. This is done when the industries want to avoid the higher cost of treating the effluents to remove harmful chemicals and heavy metals. Zinc rich wastes from steel industries which are processed as fertilizers contain Mercury, Lead, Arsenic, Chromium and Nickel. Mining, mineral and metal processing activities release chemicals that are harmful to the environment. Parent minerals, from which fertilizers are prepared, have heavy metals like Cadmium, Fluoride and Uranium. Garbage dump and Landfills cause so much contamination of the land. Toxins released in these places accumulate and seep into the ground. The contaminants also run off during rains polluting places that may not be in proximity to the dump. Among the various kinds of wastes found here many can be recycled and reused. The major portion consists of plastics, discarded food material, batteries, e waste. It becomes a breeding ground for rodents and insects. Healthcare wastes such as carcasses, blood, needles instruments and metals are contaminated wastes that must be disposed of carefully. If they are discarded haphazardly they are dangerous for human health. Illegal dumping of wastes is a very dangerous activity, which is done just to avoid the costs of disposing wastes correctly! Animal Farms specializing in rearing cattle, sheep, goats, pigs, and poultry disposing of manure and other associated waste material cause pollution of the air, land as well as the water. 18 per cent of Greenhouse gases are said to be generated by farm animals. The large amounts of manure created, carry pathogens that are harmful for humans too. Proper animal waste management can reduce the huge bulk of it, making it easier to use. When water soluble chemicals accumulate in the soil, depending on soil structure it percolates through reaching the ground water, causing its contamination. This is called leaching. This also depends on the rainfall. For example after applying pesticides on crops in sandy areas, if excessive irrigation is done, the pesticides leach into ground. Leaching occurs not only in the fields, but also at the manufacturing, mixing and disposal sites. It also occurs at landfills and mining sites. Infants drinking water with high levels of nitrates get affected by the blue baby syndrome which is often fatal. Symptoms are shortness of breath and blue tinted skin. Certain toxins are also released by the algae themselves which travel up the food chain and affect the higher life forms adversely. Drinking or swimming in water with dangerous levels of algal blooms cause rashes, stomach and liver problems, respiratory illnesses and neurological effects. Plastic wastes contain poly vinyl chloride, phthalates, poly carbonate, polystyrene, and acrylic which are known to cause birth defects, cancer, breathing difficulties, eye irritations and skin diseases. Coming in contact with heavy metals or ingesting them causes poisoning. Chromium, mercury, lead, cadmium cause liver damage, lung and kidney diseases. Arsenic with Asbestos causes cancer. Deforestation destroys ecosystems, leads to loss of resources for flora and fauna, causing them to move away. Soil erosion, acidification, runoff, and leaching are squealed of deforestation. Scenic spots lose tourism revenue when land pollution occurs. Since the scale of land pollution has increased, the governments, conservationists, social groups and other non-governmental organisations have decided to create awareness about it. Regulations and action also is taken to reduce and control the rate of pollution all over the world. In the US, the Environmental protection Agency or EPA has brought about strict rules and have been successful in bringing down the levels of pollution. They manage contaminated sites, regulate landfills and tackle illegal dumping. They respond to reports of illegal dumping from communities, work with local councils, and gather intelligence. They take action against rogue operators who profit from illegally dumping wastes. 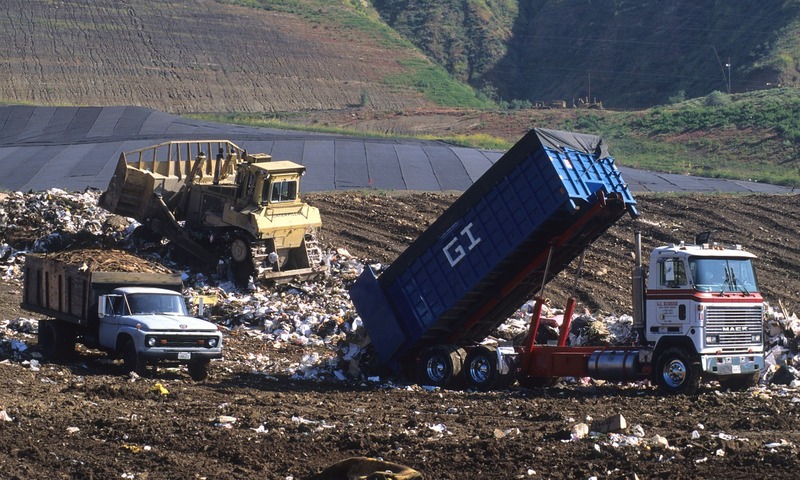 EPA sets environmental objectives and best practice measures for land fill operators to ensure that landfills do not leave an unacceptable environmental legacy for future generations, by requiring high level of land fill design and management. They manage contaminated sites by improving the transparency of management, enforcing the law to ensure contaminated sites are safely managed, supporting the conversion of these areas into assets, all the while learning from the past to avoid future mistakes. Mother Earth is getting visibly tired. It is our duty as grateful children to take part in taking care of her. Each one can make a difference. Also read about Water pollution & Air pollution .